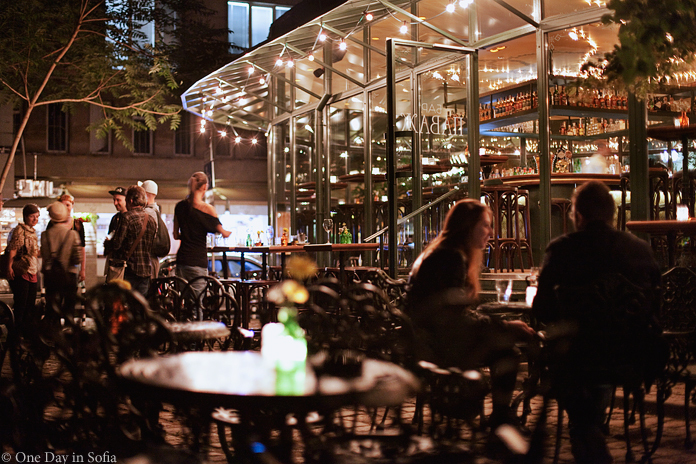 Under the linden trees in a small park just five minutes from Vitosha boulevard is the new bar Pavage. 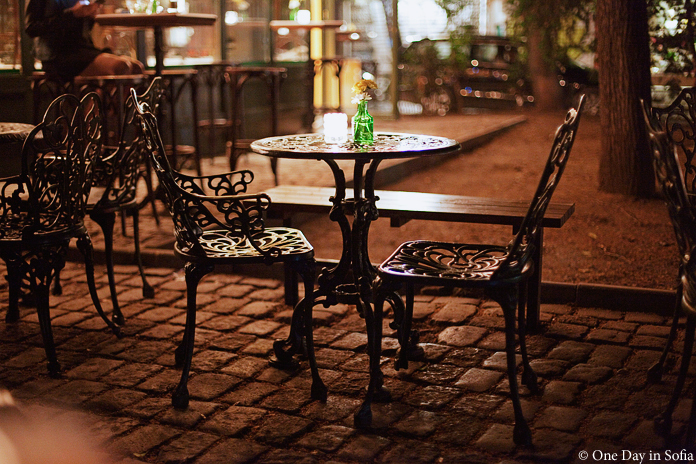 It has very classy and old-fashioned appearance, with wrought iron tables and chairs outside. I was there on Sunday night after dark and it was absolutely beautiful. 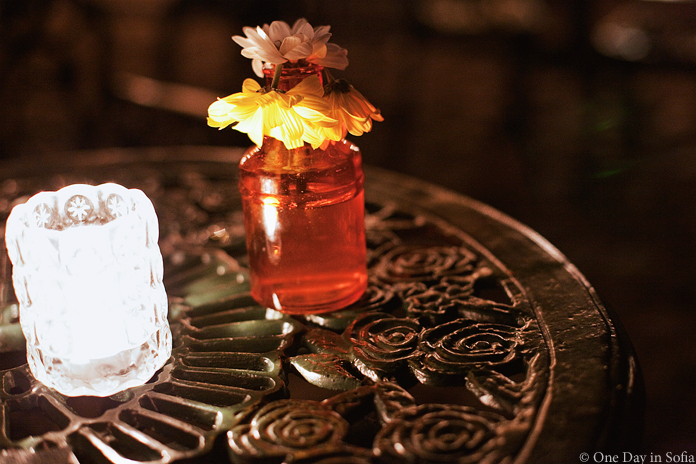 The lights were dim, there were candles on the tables and the smell of linden tree blossoms was in the air. Pavage is a great place to dress up and meet for a date, it is more quiet than mainstream bars and somewhat romantic.